- Intricately Hand-woven designer rug with a colorful pattern. 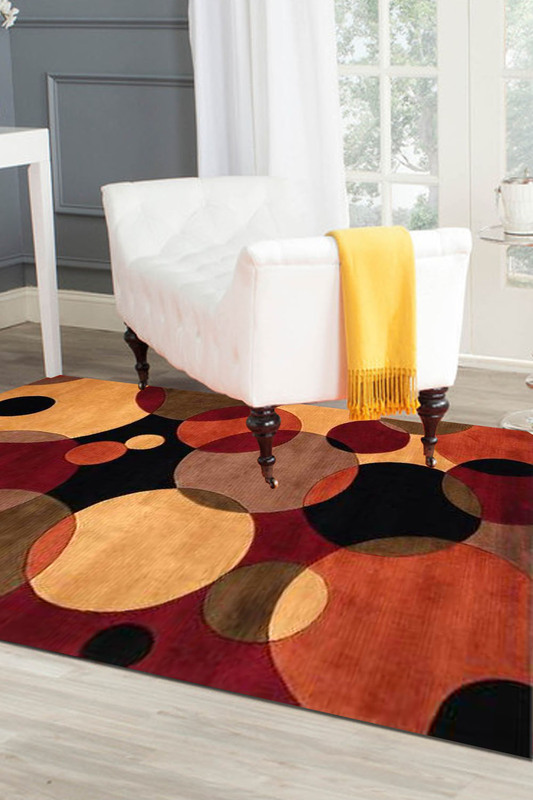 - This vibrant, fun looking rug is suitable for a room with the simplistic decor. - It adds multiple colors to any given room making it easier to match with the rest of the decor. - This Handmade rug is made with the finest quality 100% New Zealand wool. - It is double weft and is ideal for a contemporary set-up decor. It can be customized to any size and is easily washable.